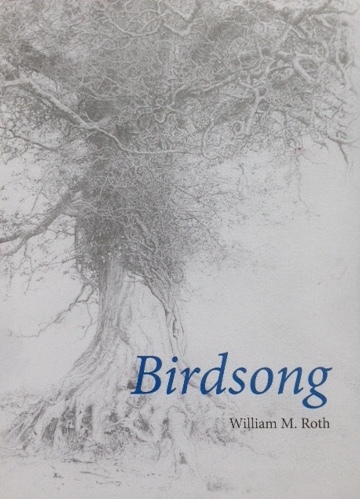 Birdsong was written in the late nineteen nineties, and is based almost entirely on incidents and characters from William Roth's life in Ireland. First published posthumously in 2015, this memorial edition is issued to celebrate the inaugeration of the William and Joan Roth Lecture at the University of Limerick begining in April 2017.With postscript by Simon Cutts and Erica Van Horn of anecdotal jottings of lives unduly passsed over, and the contribution of William and Joan Roth to the life of the arts in Ireland over a period of more than sixty years. 170 x 125mm, offset in 2 colours. 176pp, with cover photograph and frontispiece by Joan Roth.